Daily Greens: What's The Fastest & Best Way To Get Them? 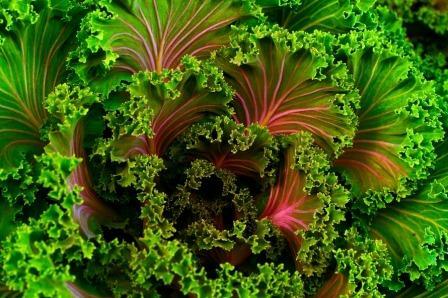 » Greens – What’s The Fastest And Best Way To Get Your Daily Dose? Yep, the fastest way to eat your greens is to drink them. But, I do it in a way that actually tastes good! Fiber and its plunger effect on your digestive system is basically a great way to digest your food and get rid of what isn’t digested as quickly as possible. Generally, the longer food sits in your digestive tract the more options means it has to do something bad to you. I’m not a nutritionist but it seems to make sense to me, especially after reviewing essential dietary fiber information from the Mayo Clinic, here. Here’s an interesting infographic illustrating some of the best foods (and ingredients for green smoothie drinks) that help you when your constipated! Keep reading to see all the recipe and information here, or use the table of contents below to skip to specific topics. My challenge? It has to taste good, or I’m not going to stick with it on a regular basis. You probably have the same criteria for your food and your own daily routines, right? So, I’ve come up with this concoction, blending what my mother used to make me as a child, a “smoothie”, with some nutritional common sense and my requirement that it tastes good. I like some protein with my carbohydrates, even carbohydrates as nutritious and fibrous as greens. So, I add protein powder. A taste-neutral or vanilla whey based protein powder is what I prefer. Two scoops, or about 30 grams of protein is what I add (more later). I also add fruit to my greens for that much more nutritional value and for the taste they bring in the natural sugars. Finally, I use a low sugar orange juice (ideally no sugar added) as the liquid base for my drink, topped off with ice cubes for additional moisture, texture and to make the drink nice, cool and “shake-like”. Greens: Handful (see below). I use a mix of grocery store packaged greens that usually have kale, spinach and some kind of lettuce. You have a lot of options to choose from. You can alternatively add collards, kale, swiss chard, mustard greens, other lettuces and many other choices (even arugula for a spicy version). These ingredients may be another excuse for you to visit your local farmer’s market to shop for local versions of them. Or, just keep an eye out for what you can easily find in your grocery store or wherever you may shop. The pre-packaged version is quick and readily available and a good fit for a recipe like this that is built for speed. Fruit: 2 Cups. I change the fruits I use quite a bit. Frozen fruit is perfectly fine to use as well. Blueberries are a staple of mine but you can choose any berry or a bunch of different ones. Other fresh or frozen fruits that work well are almost any type of melon, pineapple or mango. I usually add frozen varieties of these fruits since they’re easy to find and it’s always nice to not have to prep them, and the frozen fruit will help to cool the temperature of the drink for easier drinking. With fruit, choose what you think you might like and experiment. You may also find great fresh fruits locally, while shopping for greens at your farmer’s market, for instance. Also consider different fruit options to give you more variety of taste. You can narrow it down to a few blends that you know you like and swap them during any given week so you have more variety. Other Fruit: I usually also add one banana since they’re so easy to find and prep. Protein Powder: I use a vanilla whey protein powder (see here for more nutrition information on protein powder) that I like because I can’t taste it in this drink! It also packs a lot of protein per scoop. I add two scoops, which provides 30 grams of protein. It does have carbohydrates (2.5 grams per scoop) and some sugars (1 gram per scoop). That’s okay with me, I like the net amount of protein. You don’t have to add any protein at all if you prefer not to. Alternatively, you can add even more. My preference is to make this drink a ready meal in itself and for that I want a nice balance between protein and carbohydrates. Orange Juice: ½ Half Cup (or less) of low sugar orange juice. I add it into the blender first. You may even use water if you want, and replace the orange juice entirely. It’s mostly just to add liquid to the drink and help to make it run in your blender. You may need to tweak the amount of liquid based on the fruit mix you are using by adding water. Sometimes I add an extra 1/2 cup if I need it. Some fruits have more water in them then others. Ice Cubes: 1 Cup of ice cubes. As mentioned above, I start with the orange juice. Then I add all of the fruit, then the protein powder. Finally, a handful of greens that fills the blender about 3/4 to the top. Finally, finally, I add the ice on top of the greens. Cover and start the blender on a chop mode or whatever best approximates a high power blend mode. Blend to a smooth consistency. Times will vary according to your individual blender, but usually about one minute. This serves two or one very thirsty person. You can always refrigerate it for later, even for dinner. You can pair it with another “breakfast as dinner” recipe here. Or with real dinner here! The great thing about this drink for me is that it often works as my breakfast. It’s quick and I don’t have to chew anything. Chewing is actually a lot of the downside of eating greens, at least for me. It just takes too long to chew these fibrous things, so why not drink them? If you still miss chewing your greens, you can always make yourself a salad for lunch or dinner or both since you’re now going to have plenty of greens in your house. 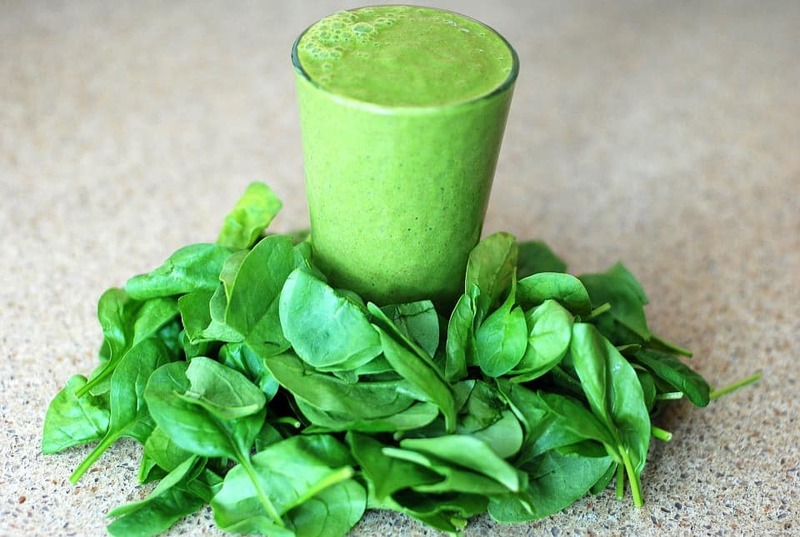 Yup- tottally agree with you- blender is key for quick consumption of greens!